Selmer Omega Centered Tone Need Info! 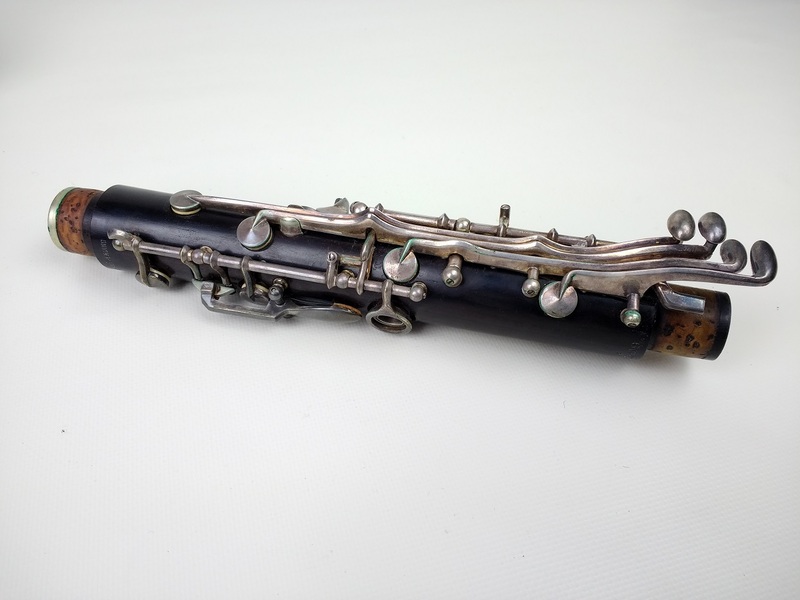 I'm totally new to clarinets, I know basically nothing about them, but I found this old clarinet as an estate sale and I was hoping someone with a good deal of knowledge could tell me more about it. 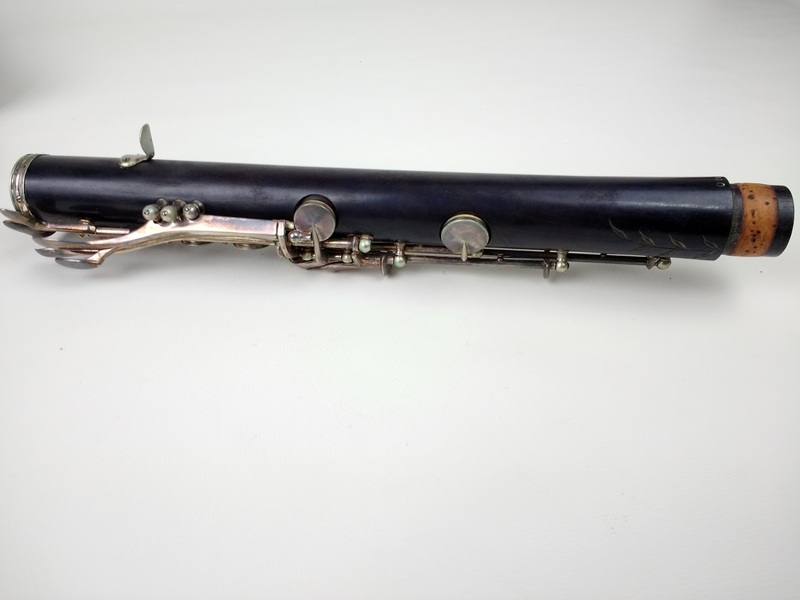 I know it is a Selmer Centered Tone (only because it say that on it) and that is is either a 1955 or 1956 but that is about it. 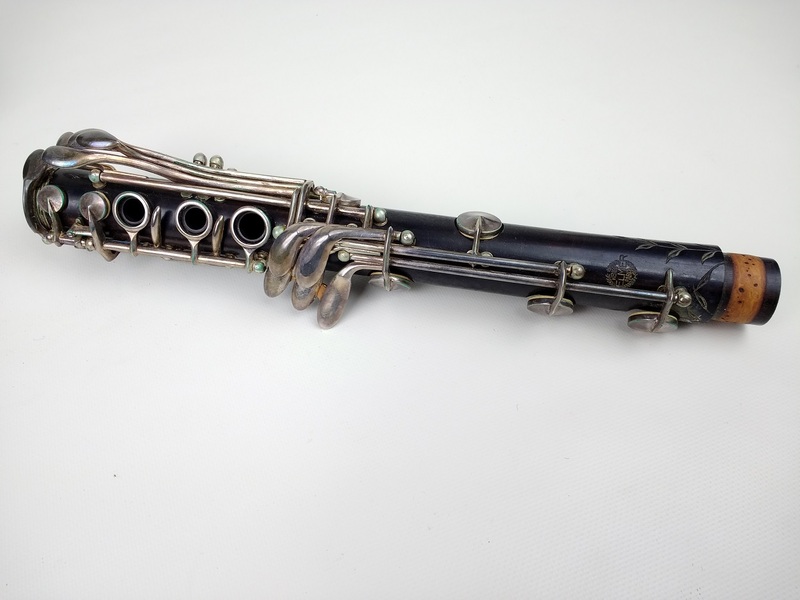 Any information would be greatly appreciated, such as type of clarinet it is, notable features, possible value, etc. Re: Selmer Omega Centered Tone Need Info! 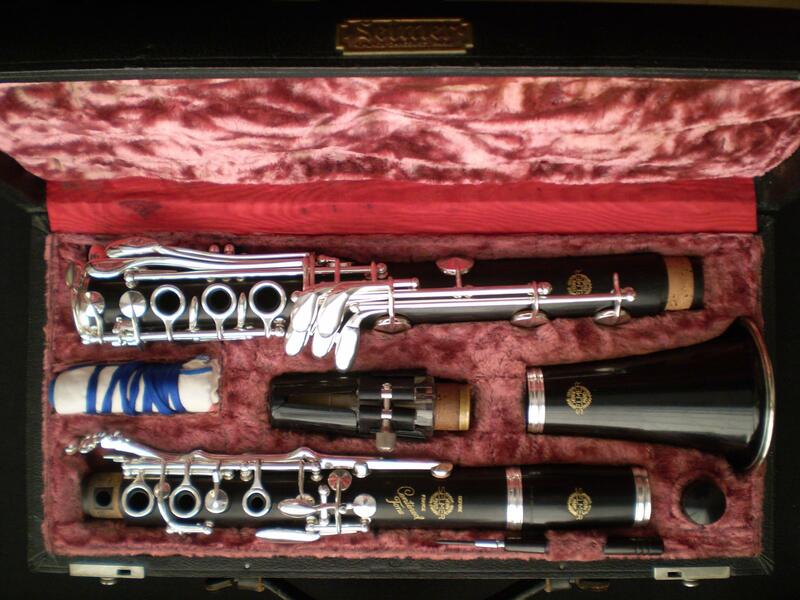 You've got a CT Omega that's a Full Boehm system, which has more keys than a normal clarinet to help with ease of playing some passages; (I'll add this isn't very commonly found today, so that could go either way for value) and what's called a Stubbins-Kaspar mechanism, which was designed to help intonation and response of the note throat Bb. I personally haven't seen all of these on a CT (the Omega designation, being a FB, and the S-K mech that I believe might have been on all Omegas) at once before, maybe someone here has seen a FB CT Omega like that? 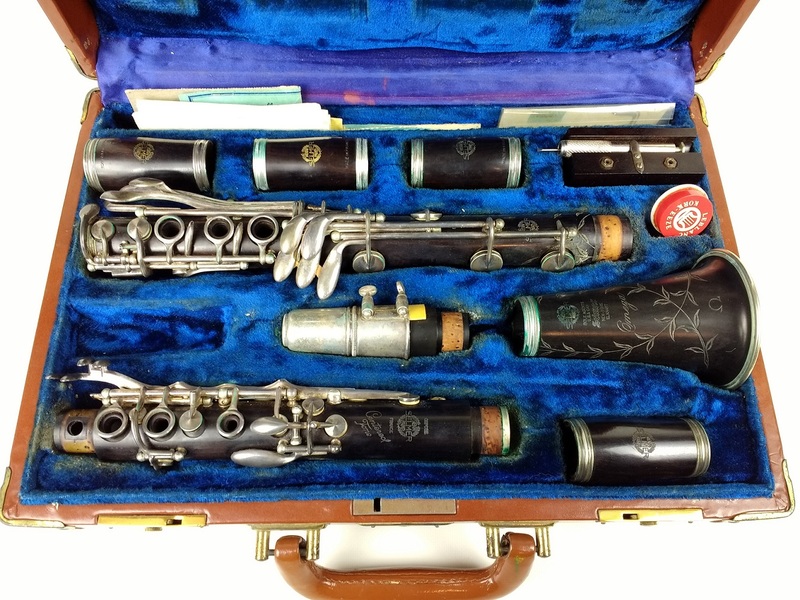 Your Clarinet is in Bb from the looks of the pictures you sent, and appears to be in really rather good shape, it's even got 3 tuning barrels with it still. And also, the mouthpiece with it might be worth a lot, too, so keep that in mind if you're getting a value on it-what's it marked? As for value: two CTs with the same Full Boehm keywork style as yours sold on ebay within the psst few months for $528 and $660; I'd expect yours to sell for a bit more, as it's an Omega model. Thanks for the reply TrueTone! That's exactly the type of information I am looking for! The extra keys was one of the main things I was curious about because all of the ones I'd seen online did not have them. The mouthpiece is the original selmer HS*. And yes it does seem to be in good shape, I was told by the owner it hadn't been played since the 60's. If you're not buying it, I'd like a crack at it. Actually I already bought is sorry Garth. Those are the picture I took after I brought it home . You've got yourself an absolute gem there - I wouldn't mind rebuilding this one given the opportunity! 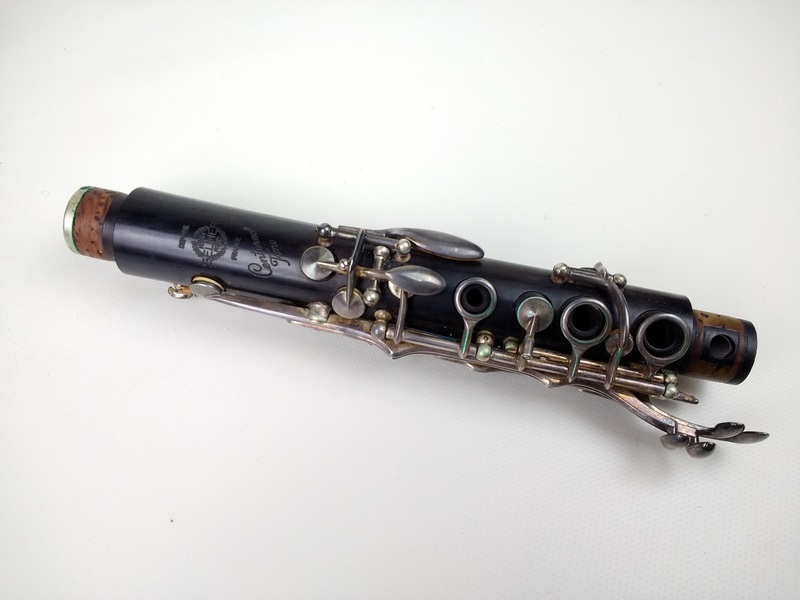 I have an R series full Boehm as my main clarinet, but it's the standard model which had unplated keys and a standard speaker key. I had it all silver plated as it was a complete mess when I bought it. The claw thing at the top of the speaker mechanism is there to unstick the speaker key pad if it sticks down. Thanks Chris! You did a fantastic job on yours. I'm contemplating rebuilding it myself. My plan was to clean it up and resell it but I paid quite a bit for it, more then I would have liked to do be honest, so I think it would make more sense to rebuilding it first as it would bring the value up and plus I enjoy that sort of thing. Yours is quite the beast...think there are enough barrels?